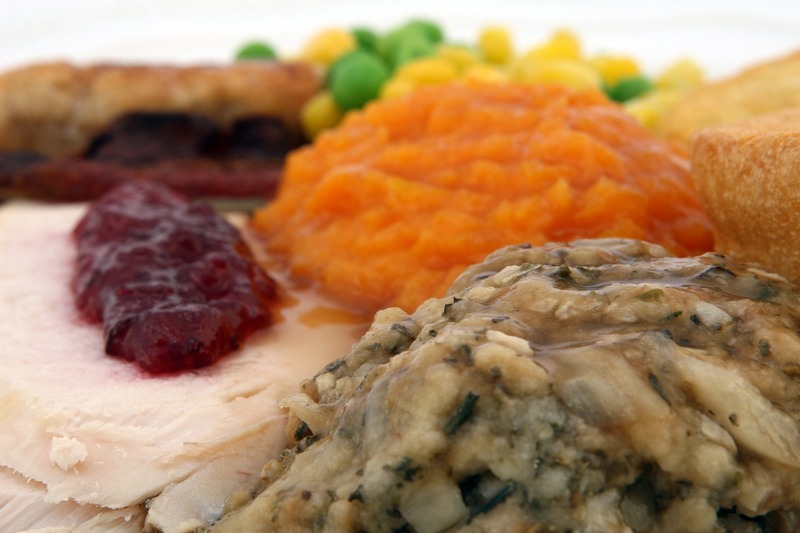 According to the studies done every year, 75% of Americans will gain up to 5 pounds during the holidays. Yikes! And making it even worse, most people don’t lose the weight that they gain over the holidays. Think about that… 5 pounds this year, 5 pounds next year, 5 pounds the year after that… it will really start to add up. So here are some tips to stay in shape over the holiday season. Of course, you are not going to be able to make it to all of your classes like you can the rest of the year. There are going to be Christmas parties, your kids (or grandkids) will have concerts, and your whole December will be way busier than normal. But you need to plan for that. Make sure that you put everything in your calendar – and then schedule in your classes and your workouts whenever you can. Sometimes you are not going to be able to make it to your class. That happens this time of the year. Make sure that you are doing something active. Take a walk or a jog during your lunch break. Do a few of your favorite boot camp exercises when you wake up in the morning. Every little bit helps when you are trying to stay away from the holiday weight gain! Stress? During the holiday season? I know it’s not possible to eliminate it, but you can definitely reduce it. Stress is one of the great enemies of weight loss (and we find that the more stressed people feel, the more likely they are to gain weight). So, this holiday season, look for ways to keep your stress down. This is the best time of the year for you to keep a journal. Track what you eat (with the number of calories) each day. Write down any exercise that you did. We find that if you know that you are going to have to write it down, a lot of times you might skip the extra piece of pumpkin pie or serving of mashed potatoes. This is true all year, but your body needs a lot of water. A lot more than you think that it does. According to a recent study, men should drink 13 8 ounce cups of water (104 ounces) and women should drink 9 8 ounce cups which is 72 ounces. And besides helping you to stay hydrated, drinking water has the added benefit of making you feel more full which can help you to snack less. This doesn’t sound like good advice, but it is. Don’t skip a meal to save calories for a big meal. This just messes with your metabolism and you’ll usually end up eating more calories at the big meal than you “skipped” earlier in the day. Have a healthy breakfast and lunch before a big dinner. You might even want to throw in a “good snack” along the way to give you the nutrition that you need with the added benefit that you’ll be more full when the big meal starts. Just like anything else, you need to be consistent if you want to see results. If you’ve been working hard to lose or maintain your weight, keep consistent through the holiday season. Sure you can cheat a little bit here and there to enjoy some of your favorites, but you don’t want to pick up 5 pounds this year, and five pounds next year, and the year after… and then never lose it.